Archaeologists led by Dr Ken Dark from the University of Reading’s Research Center for Late Antique and Byzantine Studies, UK, have discovered what they believe could be the remains of Dalmanutha, a Biblical town on the shores of the Sea of Galilee mentioned in the Gospel of Mark as the destination of Jesus after he fed 4,000 people with a few fish and a few loaves of bread. A general view of part of the survey area, looking southwest, showing the mountains bounding the Ginosar valley. Image credit: Ken Dark / Palestine Exploration Quarterly. 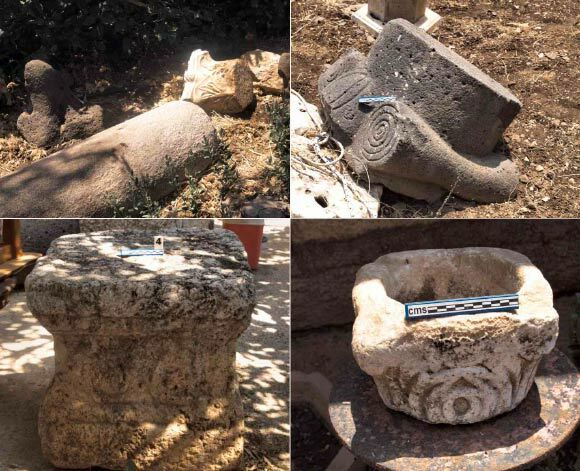 Dr Dark’s team found a number of Late Hellenistic, Roman-period and Byzantine artifacts during an archaeological survey carried out in 2012 in the Ginosar valley, Israel. The archaeologists found thousands of sherds of Roman-period pottery; fragments of Byzantine period red-slipped wares, ribbed cooking pots and amphorae; vessel glass shards; stone artifacts, including early Roman-period limestone vessel fragments; many stone and ceramic tesserae. They also recorded an extensive spread of ancient architectural fragments in the adjacent, modern city of Migdal. “Fragments of Roman-period and Byzantine architectural stonework and agricultural objects are scattered throughout the town, where they are visible just by walking around the streets of this open-plan settlement,” Dr Dark wrote in a paper published in the journal Palestine Exploration Quarterly. 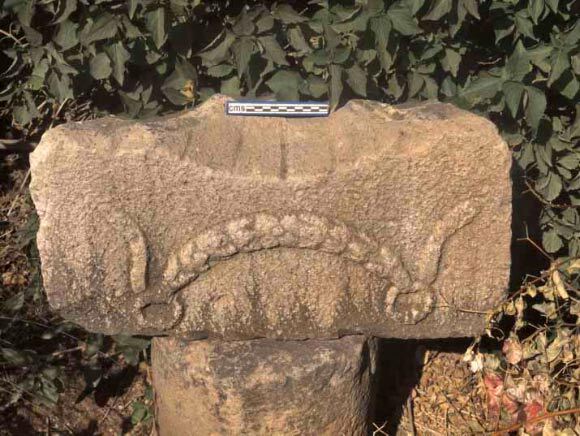 Ancient architectural fragments from the modern town of Migdal. Top: a limestone monolithic column and detached Corinthian capital in a garden, left, and a basalt column capital. Bottom: a Roman-period pagan altar in a garden, left, and a possible Byzantine holy water stoup. Image credit: Ken Dark / Palestine Exploration Quarterly. According to Dr Dark, the settlement may have contained masonry buildings, some with mosaic floors and architectural stonework. The inverted top of a Roman-period niche, displayed in a front garden in modern Migdal. 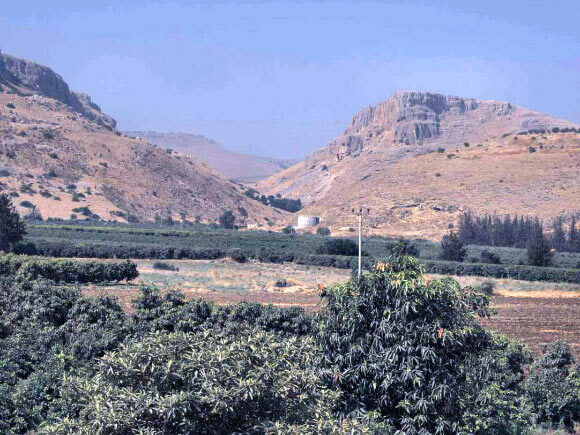 Image credit: Ken Dark / Palestine Exploration Quarterly. “Vessel glass and amphora hint at wealth, while olive-presses – assuming that at least some of those recorded in Migdal are genuinely from this settlement, mortars and querns suggest an involvement with agriculture,” Dr Dark explained.